The world of poetry is changing. This has consequences. Overwhelmed by the absolute number of poets, the omnibus poetry anthology has become impossible in book form – examples can be judged only by the degree to which they fail. It’s a form in which the best intentions of editors simply prove embarrassing, a circumstance that is never aided by the fact that the motives of publishers are far more venal than those of hapless compilers. More sharply defined collections – Poems for the Millennium, Vol. 4: The University of California Book of North African Poetry, Beauty is a Verb, The Reality Street Book of Sonnets – succeed to the degree that the best editors are rigorous in their containment of a given territory and honest with their readers as to what they do (and, more importantly, do not) address. Like the omnibus anthology, such collections are inherently depictive: they represent the poetry of a terrain, a social category, or a literary form. Their virtue is to be found in their modesty of scope, their sharpness of focus and thus the diligence of their editors. If they attempt any intervention into the social fabric of poetry, it is primarily to indicate that X also is a part of the landscape. Another type of anthology raises the stakes by adding a second, argumentative dimension, using the anthology form to make the case for some new understanding of the poetic whole. The classic example – for good reason – is Donald M Allen’s The New American Poetry: 1945 – 1960 (NAP) which sold over 100,000 copies and is credited with either opening mid-century poetry up to a wealth of new possibilities, or, alternately, triggering the irremediable decline of civilization. Allen’s anthology was not the first such venture in English – that would have been Pound’s Des Imagistes, which appeared as the February 1914 issue of The Glebe, published by Alfred Kreymborg & Man Ray. But, while both Des Imagistes & Louis Zukofsky’s 1932 An ‘Objectivists’ Anthology would have significant long-term implications for poetry¹, neither remotely approached the impact of the Allen. Neither did Daisy Aldan’s excellent A New Folder: Americans: Poems and Drawings, which appeared one year before the Allen anthology, covering much of the same aesthetic terrain, but with some notable differences. I’m interested in why one anthology becomes a transformative event for a generation of writers and readers, while another, similar in scope, arguably comparable in quality and first to market, essentially sinks out of sight. Less than a dozen copies remain available in used book stores. The differences are telling. As Michael Hennessey notes in his Jacket2 essay on the Aldan anthology, the collection included over 30 visual artists. The Allen, by not including the likes of Pollock, de Kooning, Mitchell, Kline, Rivers, Motherwell et al, presents instead an unwavering target. Second, Aldan’s focus was Eastern, a pre-WW2 commonplace that the Allen anthology would shatter. Of the more-than-two-dozen poets who appeared in the Allen but not the Aldan, just six – Ray Bremser, Edward Marshall, Joel Oppenheimer, Jimmy Schuyler, Gilbert Sorrentino, and Jonathan Williams – were not then significantly associated with the West Coast. Bay Area poets Aldan omitted included Robin Blaser, Robert Duncan, Lawrence Ferlinghetti, Gary Snyder, Jack Spicer & Phil Whalen. Aldan also published poets that the Allen anthology not only omitted, but pretty explicitly opposed as well, such as Richard Eberhart, James Merrill, Arthur Gregor and Jean Garrigue. Yet she also included poets such as Gerrit Lansing, Eve Triem and MC Richards who could easily have appeared in the Allen. Aldan’s failure (or refusal) to position her book in opposition to an existing Official Verse Culture, whether we think of it as mainstream (tho it was anything but), academic, formalist, “cooked” or quietist, along with Allen’s brilliant notion of organizing The New American Poetry into five ostensible groups or movements (committing some significant acts of fiction in his typology) has much to do with why Aldan’s collection has been relegated to the less expensive reaches of rare book dealerships while the Allen remains in print half a century later. Three of Allen’s five sections have heavy West Coast associations (and Robert Duncan is a key figure in a fourth), which made enormous sense given the degree to which the Howl prosecution and attendant media hoopla had characterized the Beats as a San Francisco treat. In envisioning a literary landscape where the West Coast was at least as important as the East, Allen quite literally proposed a New America, the one that had emerged from the Second Word War, the west having grown up almost overnight in order to support the war effort against Japan. In many ways, The New American Poetry was the first book to fully recognize – and make recognizable to readers – that new United Sates. It didn’t help that, like both the Imagists and Objectivists before her, Aldan to some degree stepped on her own marketing in giving her collection the same general title – A New Folder – that she had used for a little magazine she’d edited earlier in the 1950s. And somebody – maybe Gerard Malanga, then her high school student – should have asked Aldan what was so special about a folder that it should be the primary noun in her title. But, if Aldan’s New Folder may seem fuzzy & blurred in all the places where Allen’s New American Poetry offers the razor sharp New American Poetry, the most likely reason her volume didn’t have the impact of Allen’s tome was because she didn’t intend it to have that effect. After all, before NAP, no anthology in the United States had ever anything like the reception of the Allen. The closest prior examples of a wide-scale impact for a single collection of verse would have been the 1956 prosecution of Howl, a PR campaign concocted by the San Francisco Police Department, and the 1922 publication of TS Eliot’s The Waste Land, perhaps the most carefully calculated marketing effort ever accorded a volume of verse. Neither of those were anthologies. But The New American Poetry, alongside Howl, Jack Kerouac’s best-selling novel On the Road, plus some other volumes that were likewise having considerable sales – by the likes of Lawrence Ferlinghetti, Gregory Corso, Robert Creeley & John Ashbery – very quickly reconfigured US poetry’s relationship to an audience, to the academy (finally unmasked for the reactionary institution it had been since the days of Walt Whitman), and to the Manhattan-focused trade publishing industry. 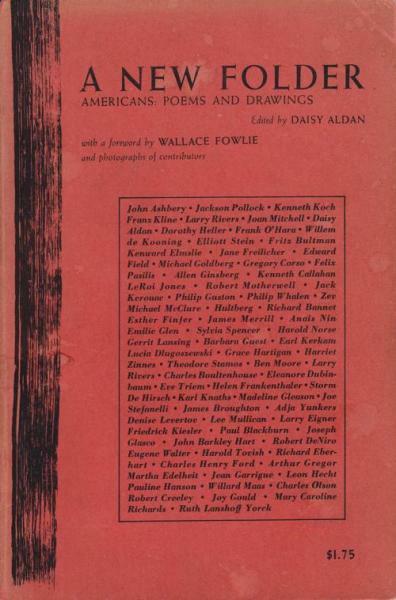 The Allen was not the first anthology that sought to change American poetry and it wasn’t even the first to segment its content for anything other than chronology internally – some of Kreymborg’s anthologies 40 years before divided American poetry into three traditions that we would recognize today as modernist, anti-modernist and hybrid (with Hart Crane heading up that division). But it was the first to use these two aggressive editorial thrusts to align poetry with a sense of the nation that had not previously existed. In this way, The New American Poetry 1945 – 1960 changed the stakes for poetry, and for anthologies, from that day forward. ¹ There are multiple reasons for this in each instance. Des Imagistes appeared first in a journal with minimal circulation and soon found itself in a crowded market alongside three subsequent anthologies on the topic by Amy Lowell. Zukofsky’s anthology was itself a follow-on to the much more well-distributed special issue of Poetry that had appeared a year earlier. 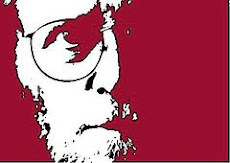 The Objectivists, as it happened, didn’t have much impact on poetry for another 30 years.